The story is told through the eyes of soldiers who have been advancing against the enemy but have approached an area that is problematic to figure out. The area is open terrain with wall far beyond and forest beyond that, so it is hard to determine if the enemy are hiding behind the wall ready to attack or have actually retreated. The narrator watches as a soldier on horse rides in the open, wearing red as if taunting the enemy. The soldier on horse begins to gallop and move towards the barrier. The soldiers watch in awe and respect as the man eventually makes his way past the wall to sight the enemy and help identify where the enemy is aligned. He survives for a long time despite the odds but eventually his horse is killed. Before he is killed, he gives one last salute. At this, the soldiers surge forward to fight and avenge the death of the brave soldier only to be called back by the commander and thus add to more pointless deaths. 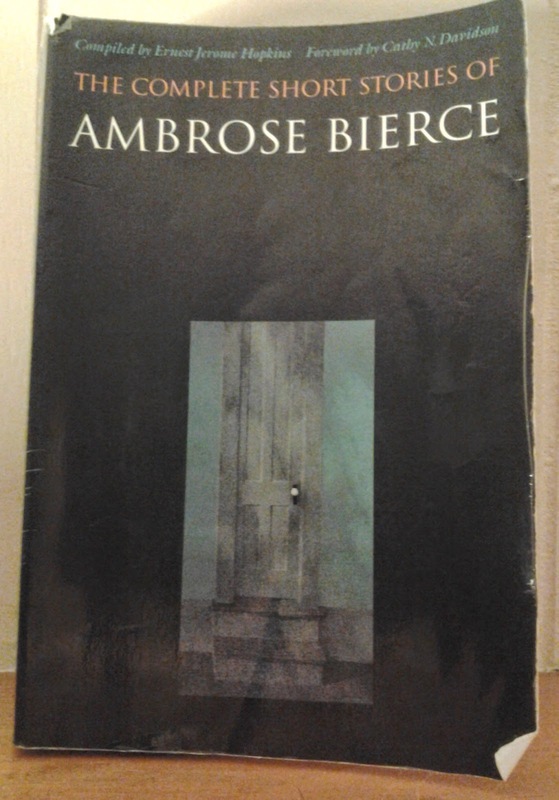 Again, this was another of Bierce's war tales that impressed me. He communicates so much about the soldiers' experiences and both the challenge and honor of a soldier while contrasting the tragedy and violence of war. When people talk about respecting the soldier while hating the war, I think Bierce captured that essence over 100 years ago.